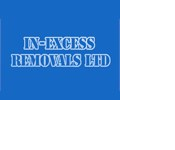 In-Excess Removals Ltd is a young and rapidly expanding family-owned business. The company was originally established in 1996, since then we have continued to expand over the years with the addition of new vehicles and personnel to keep up with customer demand for a friendly personal service at a competitive price. Our reputation is such that an ever-increasing percentage of our business now comes from recommendations from our customers on to family and friends, as well as local estate agents.